Their role is to ensure that the Charity functions within the law in accordance with the Charity Commission rules and also that the resources are managed efficiently. They meet every eight weeks and hold an AGM in July of each year. The Trustees determine the strategic direction and ensures policies and procedures are in place to manage risk. Various sub-committees, each with a Trustee representation, work to monitor the different aspects of the Hospice. 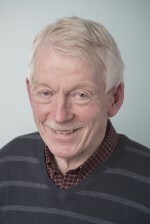 Geoff has been a trustee since 2005 and was elected Chairman in 2006. He spent a career managing hospitals in the NHS, retiring as a Trust director in 2003. He is a member of the Institute of Health Services Management. He brings wide experience of general management, governance arrangements and strategic development. Chris was a founder member of Rossendale Hospice. Chris’s role is to provide clinical advice to the board and she also chairs the Clinical Governance Committee. Chris’s career has mainly been spent working in the community sector managing community nurses, health visitors, school nurses, specialist nurses including the Macmillan Service. In the past few years she has been involved in delivering training to Primary Care Staff and the Care Home Sector on End of Life Care. 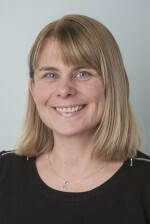 Charlotte has been a trustee since 2015. Charlotte is a previous fundraiser for the Hospice, having been sponsored to complete the Great North Run in 2013. She lives in Helmshore with her husband and two young children who attend Helmshore Primary School. Charlotte is a Chartered Accountant by background and has spent most of her career working in various Corporate Finance roles in Manchester. She currently works at Santander and has considerable financial and commercial skills. Ann has been a trustee since 2015 further to volunteering at the Hospice for a year. Ann has worked for over 30 years in the healthcare environment and was the Director of Occupational Health and Medical Services for a national private healthcare company. Along with her clinical expertise, Ann brings with her great experience in the management of people, governance, strategic planning and business development. Ann also worked for the Dutch Ministry of Defense and she lived in the Netherlands for nearly 10 years before returning to Rossendale in 1989. Barry has been a trustee since 2015. Barry is an IT Director with over 17 years’ experience in the IT industry. Having previously worked for Santander as Head of Systems, Barry now specialises in the development of retail ‘point of sale’ decisioning platforms and currently sits on the Executive Committee of a Manchester based retail finance organisation. Prior to this role, Barry held various executive positions within the IT infrastructure and cloud computing sectors, having also delivered several large NHS data centre migration and Disaster Recovery projects. Barry has an Executive MBA from the University of Liverpool. Beverley has been a trustee since 2013. Beverley is an HR Manager with over 20 years of HR management experience in a number of sectors including the BBC, Retail/Leisure, Local Government and Higher Education. 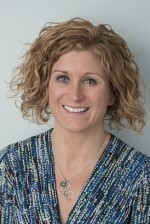 She currently works full-time at Edge Hill University as their Senior HR Manager. 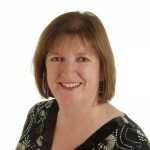 Beverley is a Fellow of the CIPD (Chartered Institute of Personnel and Development). She provides specialist HR advice and guidance to the Hospice on matters such as terms and conditions, recruitment, policy review and general people management. She is a member of the Policy Audit group. 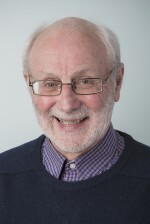 Brian has been a trustee since 2008. Brian is a former journalist and helps edit the Hospice newsletter. Brian is also the Hospice company secretary, a member of the management committee and a member of the fundraising sub-committee. In additional he has helped set up the Hospice shops in Rawtenstall, Haslingden and Bacup. Liam has been a trustee since 2013. 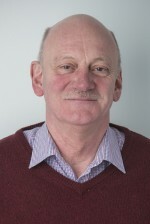 Liam is a general practitioner in North Manchester where he has worked for the last 32 years. He has a background in NHS commissioning having been involved in primary care groups and trusts since their inception in 1998. 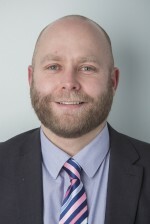 Liam was a board member, director and chair of the Professional Executive Committee and Clinical Commissioning Executive at Manchester Primary Care Trust for several years prior to its dissolution and was vice-chair of the shadow North Manchester Clinical Commissioning Group until March 2012. He also has 14 years’ experience as a hospice medical officer. Liam is semi-retired although still senior partner at his own practice where he works two days/week. He also carries out some appeals work for the Manchester Clinical Commissioning Groups and chairs the Continuing Healthcare Strategy Board which oversees a budget of £34 million. Liam sees his role on the Board of Trustees as advising on intelligence in matters related to the reorganised NHS and in particular how the hospice might be best placed in providing commissioned services. He is also well-placed to provide clinical advice relating to palliative supportive care and persistent development of strategies to further develop and enhance the role of the hospice in providing such services. 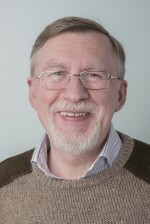 Graham has been a trustee since 2005. Graham was appointed as a representative of local service organisations, with an intimate knowledge of the local community. Graham is a director of a local firm of electrical engineers. He has offered practical guidance and support for fundraising activities of all descriptions and has been instrumental in making sure that our new retail units have been refurbished to a high standard and are trading very successfully. 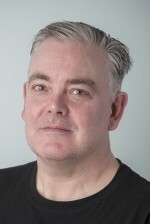 Stuart has been a trustee since 2005. Stuart has worked in the insurance industry for over 30 years spending the last 12 years working for the largest privately owned insurance broker in Europe. His part of the organisation specialises in charities with a particular focus on Hospices, currently insuring more than half of the independent hospices in UK. Stuart’s role is to visit hospice clients to discuss their insurance requirements and needs. Stuart has also delivered talks to such organisations as National Association of Hospice Fundraisers, Association of Hospice Managers, and the Institute of Fundraising on matters such as business continuity and risk assessment. 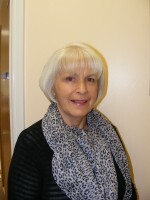 Irene has been a Trustee since 2016. Irene has a wealth of experience working for a number of charities and is currently the Fundraising Manager at 'Kidneys for Life', based in Manchester. 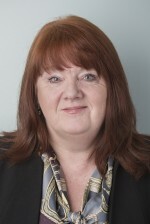 In 2012 Irene was elected as a Trustee of the Institute of Fundraising nationally and is also the Vice-Chair of the Institute of Fundraising North West which organises training and networking events for charity fundraisers. Irene also holds a Diploma in Fundraising.